The time in Beijing, end of July and early August, has just been great. The 24th FISM World Magic Congress (FISM = International Federation of Magic Societies) was held at the Convention’s Center in Beijing from July 26 to 31, 2009, with more than 2500 participants from 66 countries or regions (according to the official Chinese terminology). They were certainly less participants than usual from America and Europe, but a large amount of Asian magicians were present. And they were really enthusiastic and dynamic. This gave even a slightly different atmosphere to this international meeting. Of course, the good old nice magic chaps (no matter of age!!) from all over the world were there and meeting them again was as nice as ever. The young Chinese, Indian, Indonesian, Korean, Japanese, Filipino, Singaporean magicians, all those from the South-eastern Asia are happy and excited to be there and to meet “live” the international magicians they have so often seen on videos or in magic magazines. This great interest appears also when seeing the endless lines in front of the lectures’ rooms. Hundreds of participants stopped us in the convention’s halls or already in front of the Convention’s Center, wanting to speak, to have autographs and pictures with us. Of course, it is very nice and flattering, but at the same time we feel totally under pressure before the gala show where we will appear. But it went very well, beyond all expectations. It was for us a real pleasure to see many young friends taking part to the competition, even when it was more or less successful. And we were delighted, when seeing our buddies’ wild with joy as they were awarded. 1) Paris, France 1973 – with the black art act: “The Pianist” under the stage name “Light Fingers”. 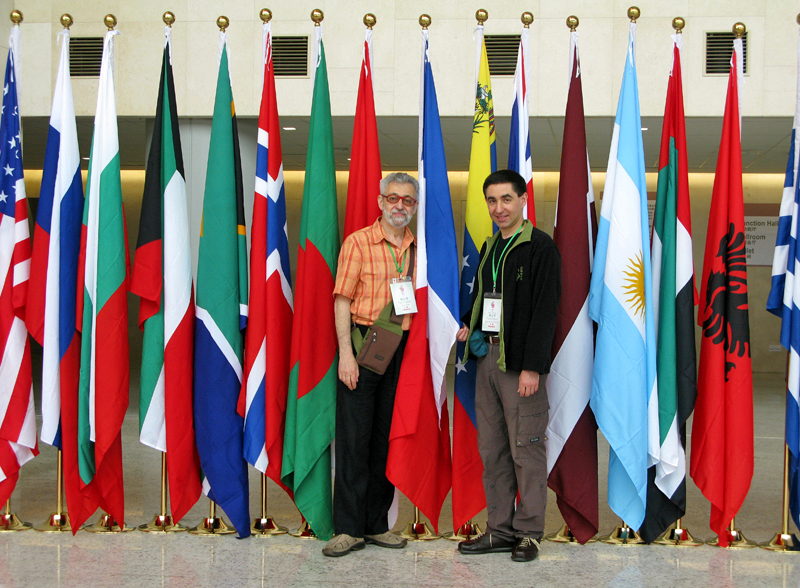 3) Beijing, China 2009 – with Omar Pasha. Omar Pasha is one of the greatest stage acts in the history of magic. Here is 12 minutes of real miracles, flawlessly performed, where the impossible is made possible through the use of the 100-year-old principle of Black Art. 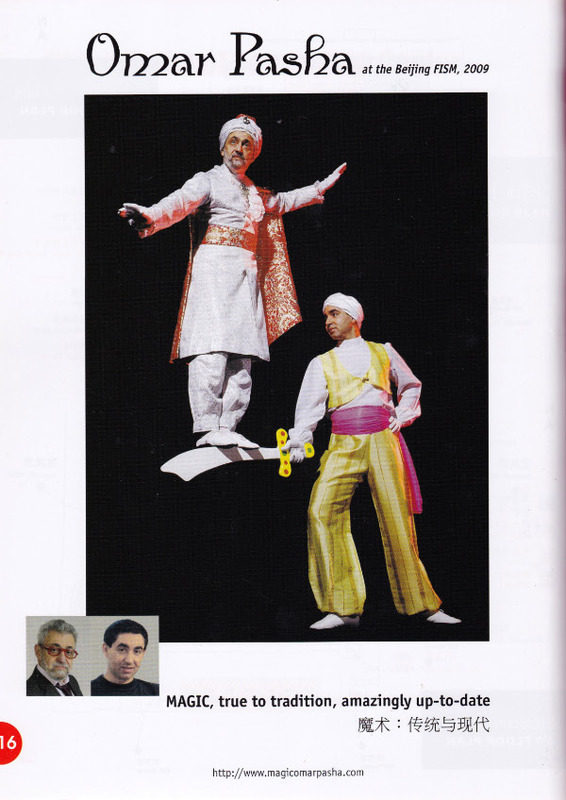 Omar, played by Ernest Ostrowsky, (…) wove a spell over the audience as the classic “Bolero” played.